Tech at Night: Republicans are the real tech thought leaders. The FCC stalls innovation for a power grab. How desperate do you have to be? The radicals at Public Knowledge are trying to take credit for Republican initiatives. To claim a lefty was the ‘thought leader’ behind phone unlocking is ridiculous. That was Derek Khanna. Even Washington Post says so. AT&T is wishing for a modern FCC so that they can innovate with the IP revolution. Instead FCC is threatening the economy by stalling, and for the basest of reasons: to try a power grab. Tech at Night: Catching up after a cold. Woof. This week I had my worst cold in years, the worst I had since the first CPAC I attended. Boy was that a miserable trip home, let me tell you, sick as a dog, with insufficient Claritin Ds to get me through it. I was lucky the middle seat was empty for me on both flights I had to get home! At least this week I could stay home, and sleep. IRFA is a bill seemingly written by Pandora to stick it to copyright holders and pad their bottom line. Other Internet radio firms are doing fine. Spotify’s growing. Apple is reportedly in negotiations with copyright holders to create their own service. Pandora is probably feeling the competitive pinch since Spotify came over from Europe, and instead of competing and innovating, wants the government to pull a Net Neutrality and shift some rents their way. Why do we want to impose price controls? Look, if you came to me and said here’s a bill to deregulate the whole thing, I’d be all for that. But IRFA doesn’t deregulate. It tightens regulations. It picks winners and losers. This is the same old stuff we’ve been seeing from Washington since January 20, 2009. Washington has been tilting the playing field for all those hipster-filled online firms that love Obama, and worked to re-elect Obama, and now they’re trying to wrap a free market flag around it and get us to sign on. Didn’t we settle the price controls debate decades ago? Reject IRFA, Republicans. Thanks. Tech at Night (Well, Sunday Morning): Do not let them ban 3D printing. Vitter takes on Obamaphone and a Democrat donor profiting from it. By my records this is the 382nd edition of Tech at Night. This is however the one that was prepared on my 35th birthday (though sorry, I didn’t get it written until Sunday morning). If they try to ban 3D printers in the name of gun control, remember that they’re killing children if they do it. 3D printing is an important technology and the fascists must not be allowed to use gun control to gut it. But they will try. Just watch. Oh look, fugitive at large in New Zealand (and I mean large) Kim Dotcom has become a patent troll. Remember: he’s a convicted felon and fraudster, having stolen money and embezzled money. He ran a large copyright infringement ring, which he now has restarted in New Zealand, having paid off the government through promises of ‘investment’ to avoid being deported despite indictments in the US and convictions in Germany and Hong Kong. Anyone who buys a ‘patent’ from him should himself be investigated for money laundering. Tech at Night: Keep government from micromanaging, to prevent the next ECPA mess. Unnecessary legislation watch: House Democrats (and a Republican) want to meddle in the matter of employer access to Facebook. Sure, a lot of people aren’t smart about Facebook, but that’s no good reason to expand government here. Let’s not micromanage. We just went over this with ECPA. How can we trust new government regulations of Cybersecurity, Obama-style, when heavily regulated utilities are doing so poorly? That’s why we need a light touch, low on regulation, CISPA-style. Tech at Night: Apple negotiates while Pandora lobbies. Chinese attacks continues. You know what happens when you use other people’s email services, such as Yahoo or Google? You become especially vulnerable to attacks on your privacy, including the ability of the government to search your email provider’s computers. The ECPA is a red herring, really. Sure, we an tweak it, but when you use somebody else’s computer, I’m not sure you should have much of an expectation of privacy. Hey, look: While Pandora spends money lobbying to try to change the law to rig the system, Apple is negotiating to get what it wants for Internet radio like a free market participant should. 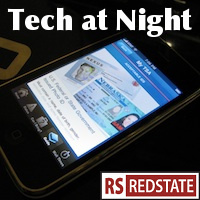 Tech at Night: Getting proven right on CISPA, again, as Obama proves to be anti-privacy. I’m on antihistamines and hoping I’m not getting too sick, so this is going to be less… focused than it usually will be. Hang on. Let’s recap the CISPA situation. Anonymous is proving why we need it (though BGR is delusional for thinking Anonymous was “attacking North Korea” when it hacked Twitter accounts, though BGR does sometimes go gaga for radical propaganda). China is, too. But the administration is opposing CISPA on “privacy” grounds. Hold that thought. The Obama administration is not opposing and may back government mandates for “wiretapping” Internet communications – that is, government-mandated backdoors into encrypted communications. What was that about privacy, again? At least Republicans are still serious on the matter, looking at the large scale of thefts and spying going on. Make no mistake: this is aimed at China. In theory it would affect Iran, but we already embargo them, so this affects China. Tech at Night: Stand up to the gangs and pass CISPA. Obama nominates a new FCC chairman. We’re still at war online, guys. The Chinese are scouting us and even criminal enterprise is under constant attack. And make no mistake DDoS attacks affect not just the target, but the networks surrounding the target, too, so even a criminal racket like Silk Road should have attacks on it stopped, for the health of American networks. And again, the anarchists SWATted a member of Congress, Mike Rogers, to fight for weaker security online. Yet, The President and Democrats continue to obstruct CISPA, instead of getting the job done. This guy made illegal executive orders on the topic, but as soon as we take good, light-regulatory legislative action, he suddenly wants to slam on the brakes. Shameful. Tech at Night: The terrorists strike back against CISPA. Privacy silliness? So back on Saturday it came out that CISPA supporters were being threatened, and now today it comes out that Mike Rogers was “SWATted”. That is, the Anonymous-tied anarchists tried to kill him by lying to the police about him. I said recently that the radicals opposed CISPA, and were lying about it by saying it was the new SOPA, because they didn’t want American networks to be more secure. Sounds like these criminal, radical gangs really do feel threatened. This is why we must pass a similar bill, and the Senate does the nation a disservice by not doing so.